We’re thrilled to be adding a live music programme to the Winter Arts Market this year! 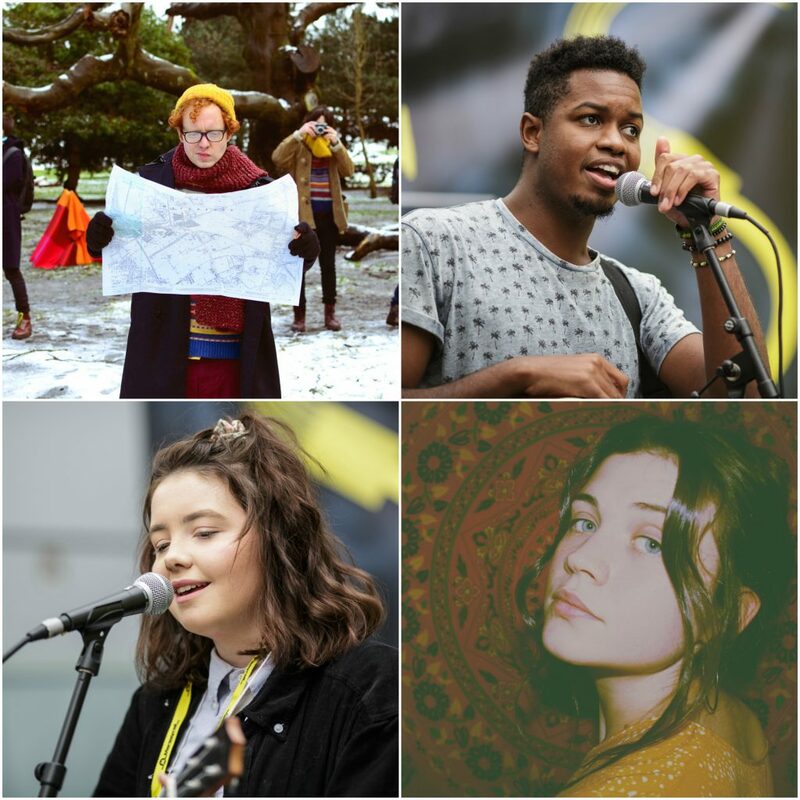 We’re partnering with Merseyrail Sound Station, who are bringing four of their most amazing artists. With impressive songwriting skills that belie her youth, Merseyrail Sound Station finalist Molly Hughes will open the day. A Lovely War have been a fixture on the Liverpool live scene for a number of years now, gracing the pages of Bido Lito! and winning over fans with their eccentric chamber pop. Winner of this year’s Merseyrail Sound Station competition, Kingfast will perform a set of the unique, soulful pop – inspired by acts as diverse as Stevie Wonder, Bastille and Beyonce, which so impressed the judges at the Merseyrail Sound Station final held at Liverpool Central Station in early November. Katie appeared at the 2016 Merseyrail Sound Station final and has caught the attention of gig-goers up and down the country with her big sounding folk songs. Alongside the Soundstation artists, choral a cappella group Amici Cantores will perform pieces from across the centuries and genres, from Morley and Bennet to Mendelssohnn and Vaughan-Williams and also living composers. A group from Liverpool Walton Salvation Army Band will also be performing, playing a selection of festive songs and Christmas carols including all of the traditional favourites. An arrangement of the Ukranian Carol of the Bells will be included which has been especially arranged by the group’s former Bandmaster. They’ll even be taking requests! Music fans will also be able to get their hands on the limited edition Bido Lito! Journal – a deluxe coffee table annual from the team behind the monthly music magazine that looks back at 2017 in Liverpool music.